While the price paid for this car may seem astronomical, it's less than half the world record $38 million paid for a Ferrari at last year's Pebble Beach auctions. 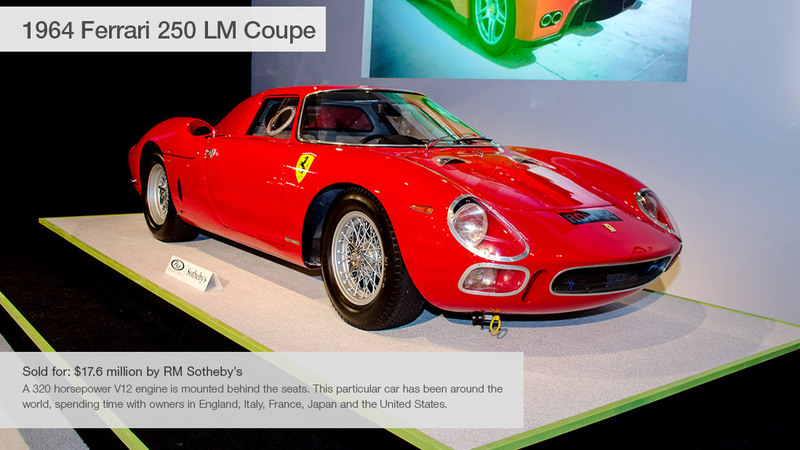 RM Sotheby's, which sold this car, is one of several auction houses offer high-end collectible cars each August in Pebble Beach, Calif., during what has become known as "Pebble Beach Car Week." It culminates in the Pebble Beach Concours d'Elegance, generally regarded as the world's most prestigious classic car show. With so many wealthy auto collectors in one place, auctions have become a big part of the action and the sums paid can be enormous. All of the prices in this gallery include an industry-standard 10% commission paid to the auction firm.